What is it that makes this helmet better than the rest? Fox has been a staple diet to those in the MX industry for years and with good reason, their kit had a unique flair of bold colours that stood out from the rest whilst pushing industry standards in helmets and protection. Their breakthrough into the MTB market was inevitable but it wasn't until 2006 that Fox produced an MTB specific helmet, the Rampage. At the time Troy Lee were the market leaders so they had some pretty steep competition in the industry. This first model was a little heavier than the rest in the market and still displayed it's MX roots but with a competitive price Fox were in the door. After 6 years of refinements and building their way into the industry, it was time for Fox to take a leading step in the MTB industry and compete directly with one of mountain biking biggest brands, Troy Lee Designs. Enter the Rampage Pro Carbon (RPC), utilising a 60K Carbon weave to help with impact dispersion and 17 specialist MTB vents to help with aerodynamics and keeping your head cool this truly was a mountain bike specific helmet. The late Stevie Smith and iconic Josh Bryceland had a key role in the development of the new helmet which came in 4 sizes and 3 distinct colourways. Compared with other helmets of the time, the size was a notable character being a lot bigger and squarer than it's competitors. This gave a robust feel and the thick padding that was found inside meant that comfort was maximised when it came to riding. Another notable benefit that came from the more MTB specific design was the peripheral vision, this is a must have for racers at the top who are having to make split-second decisions but is a definite benefit to the beginner too. Well apart from the breathtaking new colourways that match each kit combination, the RPC is still up on the trend and at the forefront of safety with the new mips safety system. A new sizing formula optimizing two shell sizes and 3 padding options allows for 5 sizes of helmet meaning a closer and more accurate fit. The Most Important question, what did we think? Although we may not be the world's fastest racers, we wear our helmets a lot more than the average joe and they go through some punishment with the season's in both Finale Ligure and Morzine. Although we have only been partnered with Fox for a year, all of our staff have been running the RPC for years out of choice. With this in mind, we set about remaining neutral and trying to really understand what it is about this helmet that we love so much. "I get a confidence inspiring feeling every time I put the helmet on, there is something about having your head secure that allows you to push yourself further and faster on the trails. I think this comes for me from the tight fit you get from the padding, with a lot of helmets once you have worn them for a while the padding shrinks and the helmet is less secure, this is not the case with the Rampage." After a solid season of shredding in the Alps, the helmet had taken a beating coming into contact with trees, roots and rocks on more than one occasion but the helmet has stayed strong and more importantly #freeride Ferg is still in one piece (just about). "When it comes to helmets for me, I need to feel like I can breathe, not just from the mouthpiece but throughout the helmet. I was blown away by the 17 vents this helmet has, keeping me cool from the top to bottom both in Morzine and Finale Ligure, I even wore this helmet out for a pedal in Finale and didn't feel the need to remove it once." 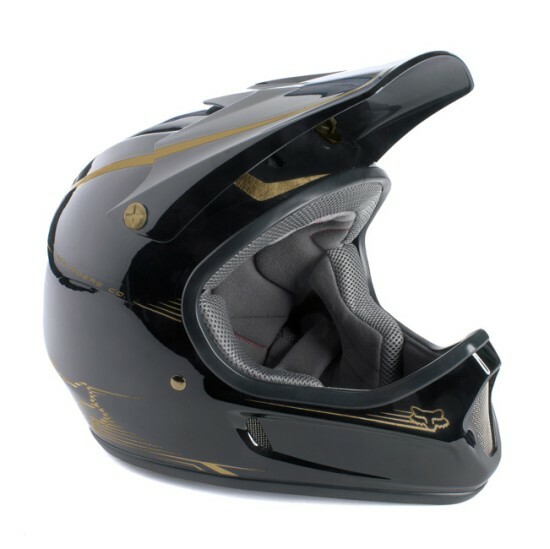 So to conclude our staff love this helmet for keeping your head cool and the safe feel that you get when riding in it. This is before we even approach the helmets eye-catching aesthetic in the Preest colourway, our personal favourite for the season.